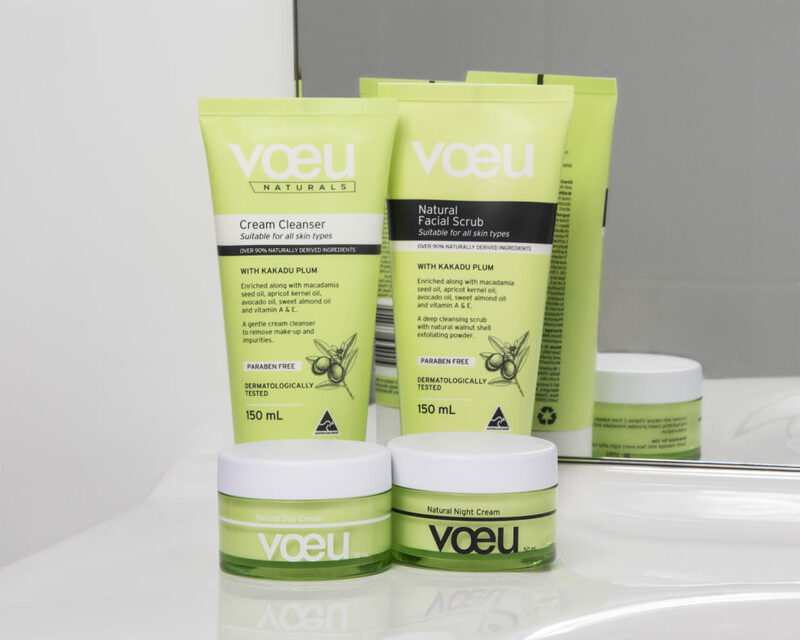 I could not have been more excited when voeu Skincare told me they were working on a Naturals range! Even though I love the core range and use it daily, I was interested in trying out something that used naturally derived ingredients. I’ve been using a combination of both the core range and the Natural’s range and I am loving both! The Naturals range is suitable for all skin types, it’s free from paraben, sulphates, synthetic fragrances, animal derivatives, harsh detergents, propylene glycol, artificial colours, trienthanolamine and mineral oil. Basically, it has none of the nasties and all of the good stuff to make our skin bright and hydrated. Here is the best part, voeu have included a very special ingredient, native to Australia! If you haven’t heard of the Kakadu Plum (and to be honest, I hadn’t, and I have since tried one and they are delicious! ), then listen to this – it has about 100 times the Vitamin C of oranges and 4 times the antioxidants of blueberries! The oil from the Kakadu Plum has antibacterial and antiviral properties and helps reduce inflammation. Avocado Oil is another super ingredient included in the range, which acts with vitamin A, B1 and B2, D and E. These vitamins help with normalising skin function, boosting skin elasticity, enhancing collagen production, healing the skin and moisturising. The range has 4 products to choose from. I love the fact that this range includes Australian ingredients and that 90% are naturally derived making it free of all the nasties and the best part – it’s so convenient to grab at Woolworths along with your groceries!